Having recorded, codified and classified all the material we have received, the photograph are handed over to the jury in charge of declaring the prizes for the 2014 competition. Experience from former editions makes us know that many long sessions will be necessary before the jury can arrive at a final compromise. In order to hold sessions under the highest technique guarantees, the NetAsturias classroom has been fitted out properly: such is the place where images are viewed and debates on them are held. Please watch for your email, and by that means he will practice all notices and requirements. On February 4th 2015 the verdict will be published. By now we have to wait and wish the best of luck to all contestants, also a very Happy Christmas and a good year 2015. 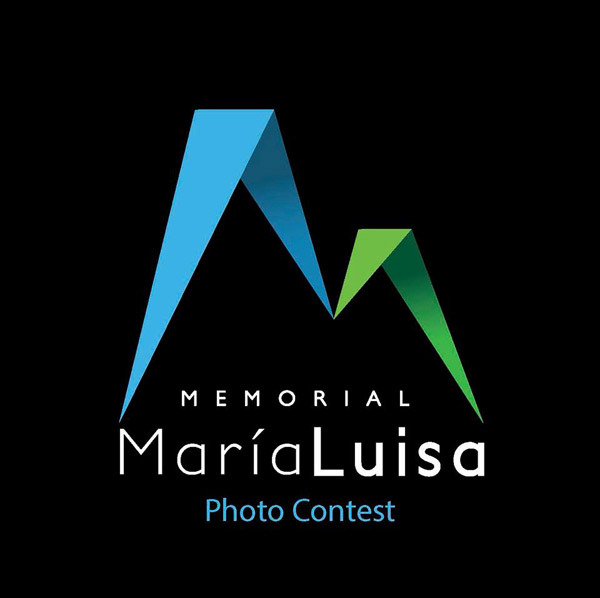 On day one is over the deadline for submission of photographs to Memorial María Luisa 2014 and with it the first stage of the competition. 12500 photographs, 1053 photographers from 67 different countries competing in the XXV edition of the event. We thank them all for their outstanding participation, while we wish them luck in front of the end result, which will be announced on February 4 days. Although still a long way to enjoy photos, all those who want and can book catalog from 25 MML-PHOTO 2014, which contain the most memorable images of the year. 25/11/2014.- Last hours. Time is up!! If you have not uploaded any photos to 25 MML-PHOTO 2014, you are still on time to do it. But don’t neglect it. The term is coming to an end, as it ends 1st of December. Enter the contest Web www.memorialmarialuisa.com , upload your photos and finish up your participation. We recommend you not to leave it to the last minute and avoid system saturation problems. Thanks for everything, we hope you decide to participate. Enter the contest Web www.memorialmarialuisa.com, upload your photos and finish up your participation. We recommend you not to leave it to the last minute and avoid system saturation problems. E/ Man in the Mountain. K/ Creative and abstract photography. Upload your photos for the contest and do not wait until the last moment..
Good luck and good lights. Today at the Club de Prensa de Asturias, of La Nueva España newspaper, took place the official presentation of the 25 Memorial Maria Luisa of photography, with presence and involvement of the sponsors of the event, where they have shown the new features of this special edition, while it made ​​public the new corporate image. Registration is open. You can upload your photos to the contest. 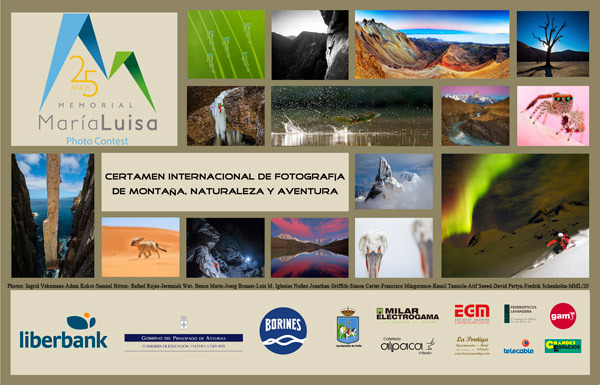 Next Tuesday, October 7, at 19 pm, will be the official presentation of the 25 Memorial María Luisa Mountain Photography, Nature and Adventure. Events will take place at the Club de Prensa Asturiana, of La Nueva España newspaper, in Oviedo. They will present the features of this special edition, the new thematic genre categories and awards. Also be made public the new corporate image as well as a preview to the events around this issue will develop in the coming months. Queremos dar la bienvenida a Liberbank como principal patrocinador del Certamen. Para los que no lo conocéis, Liberbank es el banco fruto de la fusión del grupo Cajastur (formado por Caja de Asturias y Caja de Castilla la Mancha), Caja de Extremadura y Caja Cantabria, todas ellas entidades ubicadas en regiones con fantásticos espacios naturales de nuestro país, y que a partir de hoy con toda seguridad van a tener más presencia en el Certamen. Nos sentimos muy orgullosos de todos nuestros colaboradores, y en el caso de Liberbank, nos encanta comprobar cómo permanecen entidades que mantienen el compromiso con la sociedad así como la sensibilidad e interés por la divulgación y conservación del medio natural. Por ello nuestros concursantes y seguidores están de enhorabuena. Y para celebrarlo, hemos decidido que en esta XXV edición vamos a duplicar el primer premio. 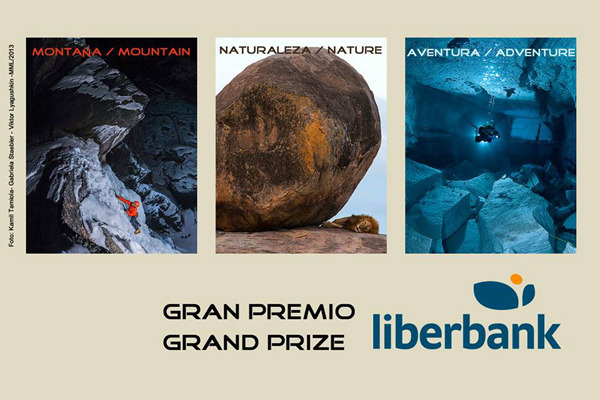 Por un lado otorgaremos el “primer Premio Liberbank de Montaña y Aventura”, y por otro lado el jurado también otorgará el “primer Premio Liberbank de Naturaleza”, ambos dotados con 3.000 Eur cada uno, y a todos los efectos los dos considerados con la máxima distinción. De esta forma cada concursante tendrá más posibilidades de alcanzar el primer premio con la temática en la que se sienta más cómodo. Nuestra bienvenida a Liberbank . Seguro que esto no es más que el comienzo de una nueva y larga andadura, en la que juntos compartiremos con la sociedad lo mejor de nosotros mismos. 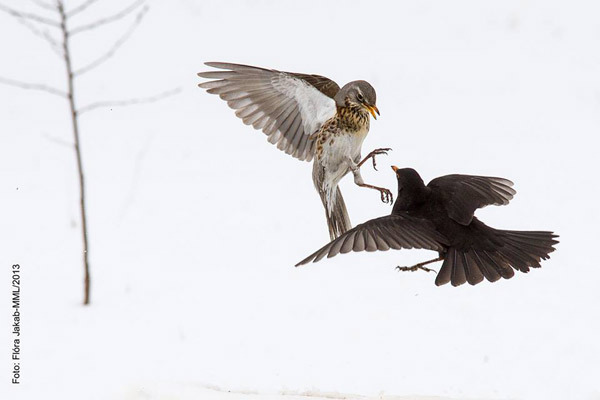 Ya puedes subir tus fotos a este doble premio 2014. Once again greetings one year on from the MML to all photographers of mountain, nature and adventure, while at the same time welcoming the 2014 competition, its XXV Edition, and inviting you all to participate. Year after year photographers from all over the world take part in this contest, having done it already from 75 different countries. With the passing of the years has become a meeting place not only for widely recognized international photographers, but also for undiscovered talent and new photographers. In this special edition, the competition has been divided into two clearly differentiated sections: on the one hand Mountain & Adventure; and on the other hand Nature, so the thematic diversity, which increases its presence in each edition, could make that all photos might not compete on equal terms. Both sections will have identical first absolute prizes for each of them. 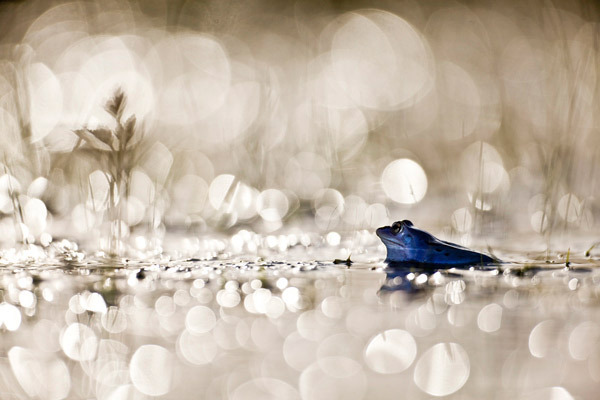 In short, we face two competitions within a single photographic competition. Every spring the prizewinners, other contestants and fans in general make a date with the towns of Infiesto and Oviedo (Principality of Asturias) in order to celebrate the traditional prize-giving ceremony and inauguration of the exhibition. After the festival the exhibition, with high quality copies, begins its annual itinerary, to date having been shown in over 100 different locations and admired by thousands of spectators. With the rules, instructions and advice provided you will easily be able to prepare your photographs to compete in a contest whose only purpose has always been, and continues to be, the promotion of those values inherent in the mountain and nature, and the publicizing of the artistic work of the photographers who each year take part. One more year, good luck to everyone and good light. The 25th edition of the competition will begin on September 1st. Prepare your best photos now. I have been trying to capture an image combining skiing and northern light for a long time. 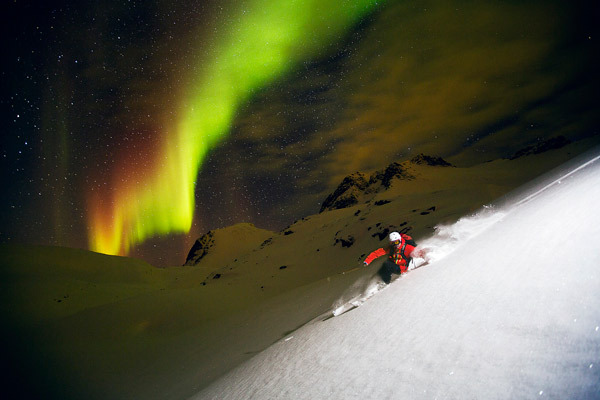 So many things must be in place: a mountain, snow, a skier, the right geomorphology and of course - the northern light. On 11th February 2013. Oscar Hübinette and I checked the northern light forecast and it looked promising. We got ready and headed up the mountain around 7:45 pm the black sky turned green. It was time to capture the image. I placed the camera on the tripod with the desired composition. Before turning the camera’s lens on manual focus, I set the focus on the spot I wanted to capture Oscar’s turn. After that I prepared the flash, placing its head on the monopod. Before going live I made a test shoot to see the light conditions and what exposure to use. Now we were ready! I opened up the shutter with the remote trigger system. I placed myself 5 meters above the camera holding the monopod with the flash head in my right arm, and the flash trigger system in my left hand. After app. 20 seconds with an open shutter I told Oscar to go down and he did it; as he made the turn I fired the flash. After that I headed back to the camera and closed the shutter. And finally, after many years of trying, we captured an image combining skiing and northern light. We were lucky as well, the composition was perfect with the northern light in a really good position to the slope Oscar was skiing on!. Equipo: Canon EOS 5D Mark III, Canon 16 -35mm, Elincrom Sistema flash Quadra , mandos a distancia para la cámara y flash, un trípode y un monopié. Esquiador: Oscar Hübinette. Lugar: Isla Senja, Noruega. Hundreds of people yesterday attended the Prize Awarding Ceremony of XXIV Edition of “Memorial María Luisa International Mountain and Nature Photo Contest” giving warmth to an act which counted with the presence of many award winners, national and foreign, who did not want to lose the opportunity to collect their awards personally and share with attendees their passion for mountain and nature. One after another, the winners thanked the recognition of their jobs, while gave fulfilled explanations of the ins and outs of each of their photos. 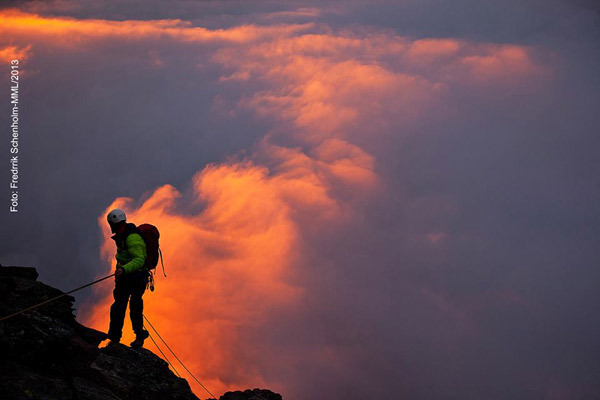 The absolute winner, Fredrik Schenhold, gave a sample of his work through a Conference on ski and adventure photography. Still with the mind overcome by his words, spectators enjoyed with the screening of a video which featured a selection of the best images that competed for the awards in this edition. At the end of the event attendees were able to contemplate a new version of the exhibition and browse the catalogue of this year. 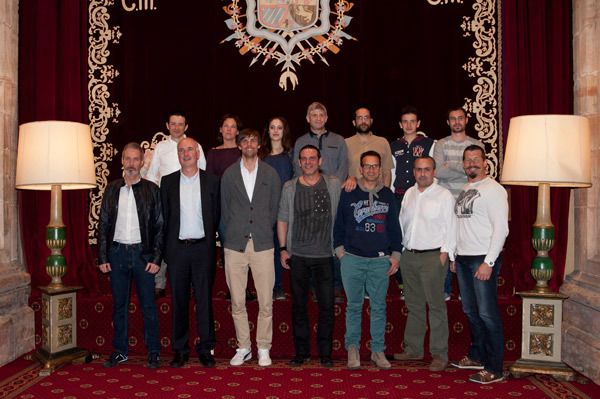 With a dinner at the Hotel Reconquista concluded the 24th edition of the Memorial Maria Luisa. The 25th is pushing already. It will be a very special occasion in which we hope to enjoy, as usual, for all your support. Thank you very much to all. See you again on the first of September. Next Saturday, March 15, at 19 pm, we will be giving the prizes for the XXIV edition of our competition. Both Cajastur Cultural Centre and the Covadonga Hall at Hotel de la Reconquista, are ready to welcome the winners and the audience. Do not miss it! 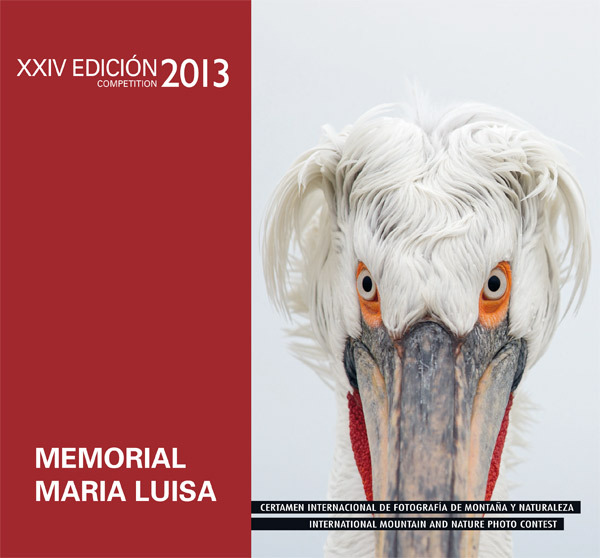 The catalogue of the 24th edition of the Maria Luisa Photograph Memorial is about to leave print. If you have not reserved your copy yet you're still in time to be able to do so. 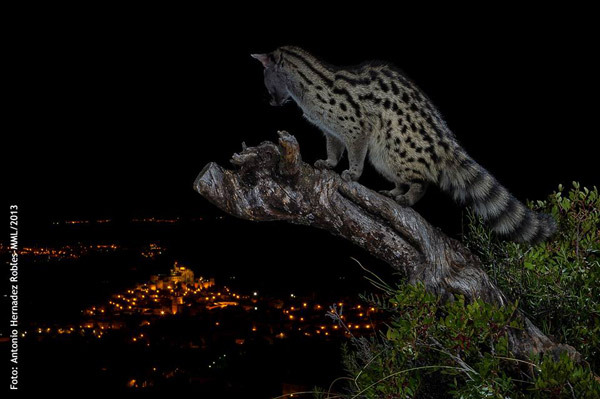 The prize-winners for the World Mountains and Nature Photography Competition held annually in the Piloña town of Infiesto, Asturias are now known. On February 4st, the date set in the competition rules to that effect, the jury set with the task of judging the 24 edition of the competition made public their decision, those which were technically the boldest and visually the most impressive, obtaining a set of one hundred memorable photographs. Twelve major prizes and ten highly commended mentions were selected for each of the twelve categories of which this time had the contest. 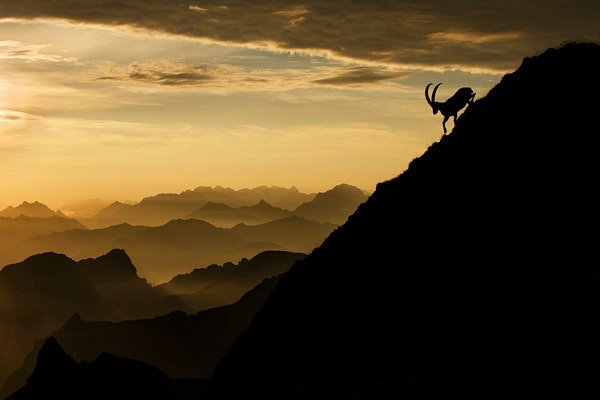 From among them all stands out the work entitled "Northern light sking" by Fredrik Schenholm, from Sweden, winning the category Mountaineering and Mountain Sports and in addition honoured with the absolute prize, the Golden Asturcon for Photography 2013, also the winner in the Climbing category. 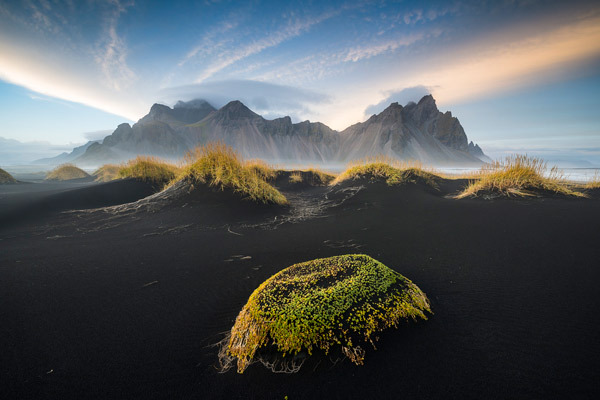 The remaining winners are: in the category Mountain Landscape, Samuel Bitton; in the Mountain Man category, Krystle Wright; in Animal World, Mario Cea Sánchez; in Vegetal World, Atif Saeed; in Biodiversity category, Bence Mate; in Nature, Jeff Mitchum; Abstract Creative photo, Ingrid Vekemans. 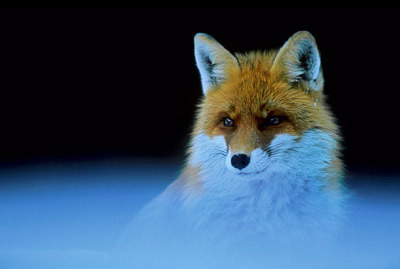 Extraordinary Category: water of life container, Viktor Lyagushkin; Portraits of the Animal World category, Simone Sbaraglia. The prize for new competitors (under 20 years old) goes to Flóra Jakab. It is now possible to take a look at this highly particular collection of photographs through the Web http://www.memorialmarialuisa.com and on Facebook. Although the true moment to enjoy them will be in the audiovisual presentation which the organizers will show during the prize-giving which will take place in Asturias on March 15th at 19 pm, at Cultural Center Cajastur in Oviedo; entrance is open to all and it is free. A commemorative catalog is edited, it contains all the awarded photos of the 24th edition and you can buy it from this Web. El trabajo del Jurado encargado de valorar la 24 edición del Memorial María Luisa de fotografía ha entrado ya en su recta final. El próximo día cuatro de febrero es la fecha establecida para que se haga público su fallo, por lo que pronto conoceremos a los galardonados en esta última edición del MML-PHOTO. 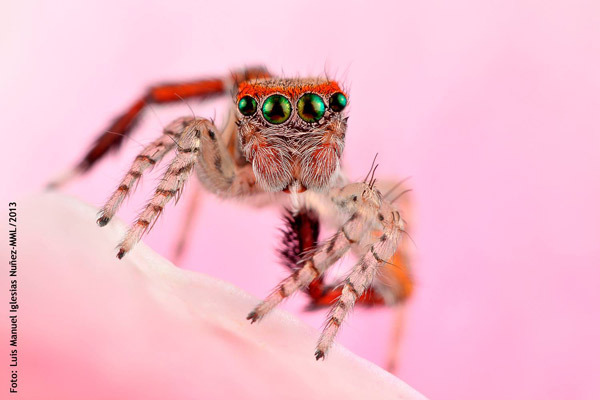 The Contest, on proposal of the Jury and of the Technical Directorate of it, has agreed to create, in an extraordinary way, a new thematic category, in order that the great number of photographs received concerning portraits - macro compete, like the rest, between similar images thematically. It will be the 11th category of the current edition. It shall have identical prizes and shall be named Portraits Animal World.